As previously reported, a typhus epidemic is worsening in the liberal utopia of Los Angeles, California due to a growing homeless population and mountains of rat-infested trash. Typhus has spread to City Hall and now all the carpets may need to be replaced. Wesson first became aware of a vermin issue in November 2018, contacted pest control experts and removed all his office’s carpets, according to the motion. Wesson’s motion asks for a report on the scope of vermin and pest control issues at City Hall, and instructs city staff to report back with a cost estimate for removing all carpets in the building and an assessment of all live plants in any city building. 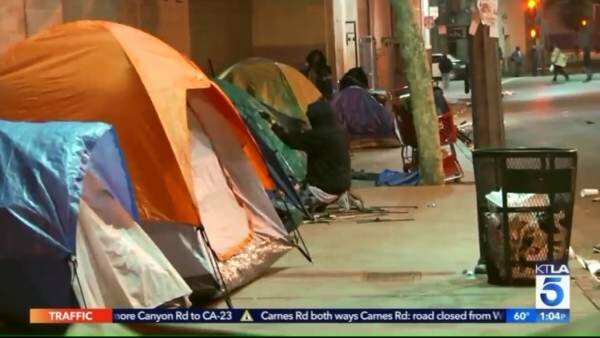 The post Update: Typhus Outbreak in Los Angeles Due to Heaps of Rat-Infested Trash, Spreads to City Hall – May Force the Removal of Carpets appeared first on The Gateway Pundit.